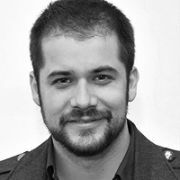 Carlos Tellez is a Partner & Executive Creative Director at RedBox Innovation, the leading Innovation Agency in Mexico and Latin America. Prior to this, he was Innovation Consultant at Play, overseeing strategic innovation efforts for various clients including Frito Lay Latin America, Nokia, American Express and Coca-Cola. Carlos has led strategic innovation projects for more than 40 brands in 6 different countries. During his employment as a Brand Manager at Cinepolis, he successfully managed the repositioning of the brand between 2004 and 2006. He also orchestrated the creative efforts behind innovative digital media campaigns while Creative Media Manager at Cronos XT. In 2010, Carlos was a guest speaker at the Cannes Lions Festival.